This report presents the main findings of a multiyear research project conducted by the International Center for Transitional Justice on the challenges and opportunities of responding to serious and massive human rights violations in different contexts. The project commissioned 21 studies on a wide range of contextual issues, 12 of which are included in an ICTJ edited volume, Justice Mosaics: How Context Shapes Transitional Justice in Fractured Societies. The contexts in which societies attempt to address legacies of massive human rights violations—by confronting impunity, seeking effective redress, and preventing recurrence—are integral to the concept of transitional justice. Such contexts can vary widely: they can include ongoing conflicts, post-authoritarian transitions, post-conflict transitions, and post-transitional periods. They can also differ in terms of institutional and political fragility as well as levels of economic and social development. Broad policy objectives in such contexts can range from rule-of-law promotion to conflict resolution, peacebuilding, vindication and protection of human rights, democratization, development, and social change. As the term suggests, however, the contexts in which societies undertake transitional justice processes are usually to some degree transitional. This is important because transitions create opportunities for addressing past injustice, while at the same time they retain continuities with the past that pose constraints or obstacles for doing so. The fact that context varies is important because the broader context affects the objectives of transitional justice efforts as well as the processes through which they develop, which in turn affect the specific responses that are most appropriate and feasible in each setting. Here processes refer to the different ways in which ideas and movements develop, promote, and coalesce in demands for accountability, acknowledgment, and reform in the aftermath of massive human rights violations. The fact that context varies is important because the broader context affects the objectives of transitional justice efforts as well as the processes through which they develop, which in turn affect the specific responses that are most appropriate and feasible in each setting. 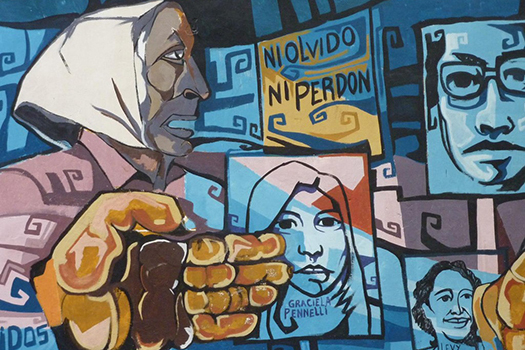 Transitional justice efforts are often criticized as being understood and implemented as a template or “toolkit”— that is, a narrow set of measures to be uniformly applied wherever widespread human rights violations have occurred. Policymakers and practitioners are therefore called on to take context into greater consideration when assessing, advocating, shaping, and/or designing transitional justice processes. To assist them, this research report examines some of the main contextual factors that have significant implications for responding to massive human rights violations: the institutional context, the nature of conflict and violence, the political context, and underlying economic and social structural problems. The institutional context includes national and formal institutions, such as justice systems and constitutions, as well as more local institutions, such as community-based justice and reconciliation practices. Such institutions in transitional contexts are often fragile and/or corrupt. Transitional justice processes can both shape and be shaped by these institutions, which creates challenges as well as opportunities to contribute to rule-of-law reform and other kinds of institutional reform. The nature of armed conflict includes variations in the armed actors involved and their motivations, and the type and scale of violence and human rights violations that are committed—all of which affect the justice responses that are appropriate and the kinds of trust they seek to restore. In addition, violence that is widespread during a conflict and persists at varying levels after peace can present challenges for achieving accountability, acknowledgment, and reform. Contexts of armed conflict raise important questions about how transitional justice processes relate to conflict resolution and peacebuilding. The political context brings both changes in and contestation over power dynamics, with significant implications for the form and feasibility of responses to massive violations. The political context generally makes tradeoffs an inherent element of transitional justice, but it also usually contains spaces in which justice and change can be advocated and the past can be addressed in ways that can lead to more comprehensive processes. Considering the political context means looking at the interests and incentives of a range of actors, including not just the state but also nonstate armed groups; political parties; civil society actors, such as victims’ groups, labor unions, and religious actors; and international donors. Finally, underlying social and economic structural problems often constitute contexts of gross inequality, marginalization, and discrimination, which both facilitate massive human rights violations and create obstacles for responding to them. They may also be important drivers of conflict. Notions such as development, resilience, and transformation are useful to thinking about the extent to which transitional justice processes are affected by, and can at the same time address, root causes and contribute to broad change. This report draws a number of conclusions that should be useful for promoting transitional justice processes in different—and difficult—contexts. Defining transitional justice contexts: Transitions bring opportunities that may not have existed during conflict or repression to address violations, but should not be defined strictly around formal peace agreements or regime changes, as change often begins before these events and persists long after them. Limited steps can be taken toward accountability, acknowledgment, and reform amid conflict and repression, recognizing that constraints on such efforts may persist into the post-transition period. Nevertheless, transition generally remains an important element of transitional justice. Identifying and understanding contextual constraints: Due both to continuities with the past and new challenges that accompany change, transitional contexts are characterized by constraints on transitional justice processes, often related to issues of scale and fragility. Weak state institutions, corruption, weak or compromised civil society, massive numbers of victims and perpetrators, political tradeoffs, and structural problems make for difficult contexts. While this does not mean that advocates of justice should back down in the face of risk and instability, such constraints should inform expectations and assessments of transitional justice efforts and outcomes as well as their relationships to interventions in fields such as peacebuilding, development, and humanitarianism. Focusing on direct objectives and processes over measures: Given the importance of context in addressing past human rights violations, it is important to promote the direct objectives of accountability, acknowledgment, and reform, and to understand and respond to the different processes and pathways through which these objectives may be achieved. There may be good reasons to support specific measures, such as criminal trials, truth commissions, reparations programs, and vetting and other forms of institutional reform,but in specific contexts such measures, or combinations of them, may be unfeasible, inappropriate, or inadequate. Rather than promoting a “toolkit,” sometimes it may be more effective to focus on the process: look for opportunities to put justice on the agenda, try to create spaces or entry points that may be utilized in the future, and promote innovative and appropriate responses, according to changing circumstances. Contributing to broader objectives according to context: Transitional contexts differ widely, with broad policy objectives that include vindicating the rights of victims and ensuring future respect of human rights, rule-of-law reform, peacebuilding, conflict resolution, humanitarianism, development, and democratization. Transitional justice processes can potentially contribute to or be in tension with these broader objectives in different ways, and they can be shaped to complement other interventions, such as human rights monitoring, demobilization and reintegration programs, humanitarian assistance, and development programming. Context also affects how justice processes can foster trust and reconciliation among individuals, groups, and state institutions. Supporting actors, institutions, and conditions: Supporting the actors, institutions, and conditions that advocate for and enable accountability, acknowledgment, and reform can be a way of promoting and shaping the processes that may achieve these objectives. Rule-of-law reform may build the capacity and integrity of the justice sector; support for civil society actors can help them develop approaches that are appropriate to local needs and political dynamics; reform of party systems can increase the likelihood that political parties facilitate consensus around processes; and addressing structural problems can help justice efforts achieve their objectives. History shows that transitions in Argentina and Chile differed significantly from those in Guatemala and El Salvador, as the transition in South Africa did from those in Eastern and Central Europe. Transitions in Liberia and Sierra Leone differed from those in Nepal and Sri Lanka, as they have from that in Tunisia and those potentially to come in Syria and Libya. The differences in these transitions are not just geographic or temporal, but also institutional, political, social, economic, and conflict and repression related. Responding to the massive and serious human rights violations that occur in such different contexts requires careful interrogation of these factors and their interaction with justice processes. While countries have learned valuable lessons from similarities in each other’s experiences, it is important to keep in mind their differences as well.